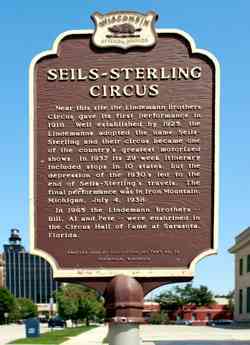 The Seils-Sterling Circus was a circus owned by the Lindemann brothers (Bill, Pete and Al), of Sheboygan, Wisconsin. The show toured the Mid-Western United States from 1924 until 1938. Brothers Bill and Pete began their circus careers as performers. Bill and his wife Millie (Millie Senkbeil Guenther 1888 - 1966), performed on the high wire. Pete and his wife Louise (Louise Staalson 1889 - 1968, performed on the trapeze. After performing with smaller mid-west circuses the brothers decided to open their own circus. 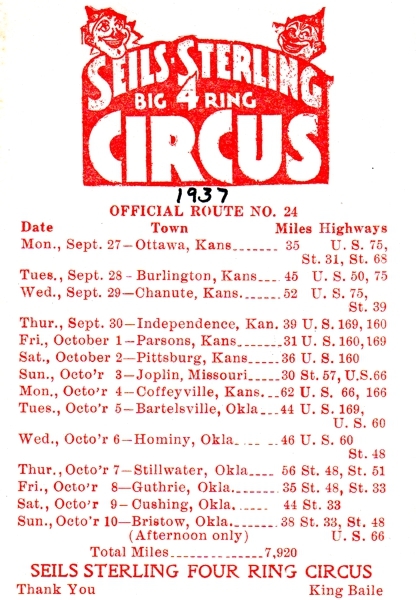 In the early years they operated under various under various names, in 1911 The Lindemann Brothers Circus, in 1912 The Lindemann Big Society Circus, in 1920 The Yankee American & Lindemann Bros. Combined Shows and in 1923 The Great Danby Show. In 1913 Bill and Pete were joined by their brother Al who also became a partner in the business. The Sells Bros. Circus was a very successful and well known circus which operated from 1872 until 1895. 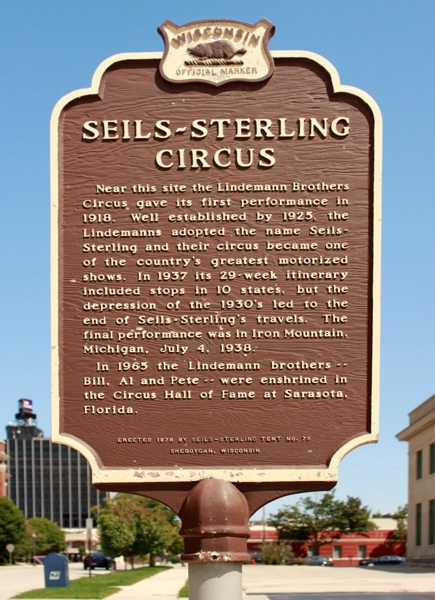 In 1924 counting on the popularity of the "Sells" name the Lindemanns began calling their the "Sells-Sterling Circus", however the Ringling Bros. Barnum Bailey Circus had legally purchased the "Sells Brothers" title. After a threat of a law suit the Lindemann renamed the show "Seils-Sterling". The circus operated successfully until 1938. The Great Depression had taken it's toll on the economy. The Lindemann found it necessary to cut performer's salaries reduce the size of their band and other measures to cut the circus' budget, however it was not enough. 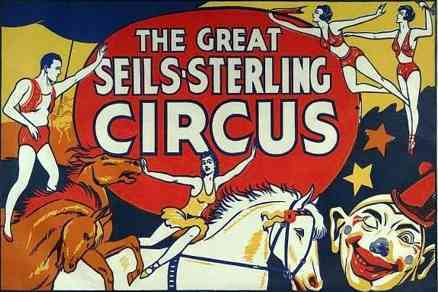 On July 4, 1938 the Seils-Sterling Circus gave it's final performance in Iron Mountain, Mich. On September 19, 1938, the circus was sold at auction, with most of the equipment being purchased by a Chicago businessman. After the close of the circus, Pete joined Dailey Bros. Circus as trainmaster, then worked as a contracting agent for a time, he became equestrian director for Kelly-Miller Circus in 1952. He served at contracting agent for the Cole-Walters Show and Camp Bros. In 1955 he returned to Kelly-Miller in 1955 to be lot superintendent, then in 1956 Pete served as purchasing agent until his retirement in 1957. Al Lindemann worked as lot superintendent with the Ringling Bros Barnum Bailey Circus from 1944 until 1946. He returned to Sheboygan where he opened Lindemanns Grocery, which he operated until his death. William Fred Lindemann died in 1949. Peter Henry Lindemann died on November 10, 1969 in Sheboygan, Wisconsin. Albert Conrad "Al" Lindemann died March 1, 1954 in Sheboygan, Wisconsin. In 1965 the Lindemann Brothers were inducted into the International Circus Hall of Fame.